Newly released figures show that motorists are now more fearful and sceptical about computer-controlled driving than they were just two years ago. The online motor retail specialist BuyaCar.co.uk has tracked consumer attitudes to the concept of autonomous vehicles since April 2017. The latest findings will worry transport policy makers who are determined to see driverless cars introduced onto the UK's roads as soon as possible. In February the Department for Transport announced that it wanted to see driverless cars start to be introduced as early as 2021 - but motorists questioned by BuyaCar.co.uk may have other ideas. Every measure of scepticism, fear and mistrust has increased since April 2017, while enthusiasm or even acceptance of the inevitability of such vehicles have diminished, according to the company's latest findings. Two years ago 46% of drivers said the idea of giving up control of their car "horrifies me" but that figure has now risen to 56%. At the same time, the already small percentage of 11% for whom driverless cars were an exciting development has almost halved to just six per cent. But even as trials got under way in the South London towns of Bromley and Croydon, where five autonomous vehicles are being tested day and night, BuyaCar.co.uk's research revealed that fewer drivers than previously believe they will ever use one. In April 2017 almost one in five motorists thought they 'definitely' or 'probably' would own a driverless car one day. This month that figure has slumped to 13%, despite frequent publicity around government plans to encourage take-up of driverless cars in the next few years. And in a sign of hardening attitudes the number of people declaring that they 'definitely will not' own a driverless car at any point has risen from 38% to 42%. 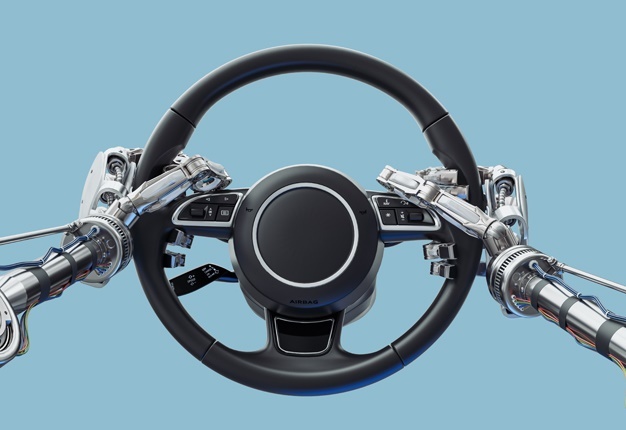 Underlying the growing scepticism around autonomous vehicles are fears about giving up control and the potential for technology to go wrong. Over the past two years fear of not being in control of a vehicle has risen from 55% to 62%. Concerns over poor quality road markings leading to confusion for sophisticated visual recognition systems are also on the increase, with a rise from 24% to 29% of motorists mentioning it as a factor. But overall, a general sense of mistrust appears to be building, with 44% of drivers now saying they 'just don't trust the idea of a driverless car', compared with 34% in April 2017. Even fear of cyber attacks affecting the behaviour or security of the car has increased, from 23% of motorists to 28% citing that as a worry. BuyaCar.co.uk Managing Director, Austin Collins, said: "There seems to be a gap emerging between the enthusiasm of transport policy planners toward autonomous vehicles and the willingness of today's motorists to accept them. "Despite the constant flow of headlines about driverless cars arriving in just a few years, our analysis of the views of motorists shows enthusiasm waning and fears growing. If driver concerns about their introduction continue to mount, it’s possible to imagine it becoming a problem for transport policy makers or even a political issue. "Perhaps the only way motorists will come to accept autonomous vehicles is by routinely seeing them working safely and efficiently every day, when the big push finally comes." We dig a little deeper into the interior tech of the fourth generation Mercedes-Benz A-Class, which has won the 2019 South African Car of the Year award.